We’re hosting a Business Growth Focus Group on April 6, 2018 at 8:30AM in Jacksonville, FL for a limited number of businesses. Only ONE per profession will be allowed to be represented at this event. We are limiting participation to 12 participants — so be sure to reserve ASAP to get your seat at the table. The goal of the group is to share what is working and what is not working for businesses locally, so the one stipulation is that everyone agrees to share that about their business. Since this meeting is only for small business owners that make or have the potential to make six-figures in 2018. It will be a small, intimate gathering, the networking potential will be unprecedented for those attending. I think you will make some excellent contacts during the meeting and possibly generate several new clients for you. The meeting is free to those we select and breakfast and all costs are covered. There is nothing for sale so leave your wallet at home. 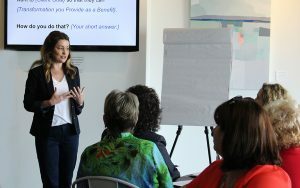 The entire meeting is designed so successful businesses in attendance can openly share and learn from each other what is working and what is not working with their marketing and in their business operations so everyone benefits from each other’s successes and challenges. RSVP if you are interested in attending. 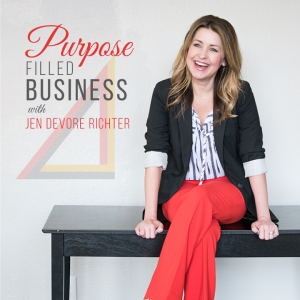 Jen will supplement the information at this meeting with her 20+ years of business and marketing experience… and will show everyone attending how to double your current lead flow and triple your sales. You will benefit greatly from the information provided. The businesses we select to attend will receive a massive competitive advantage that will elevate your business to an entirely new level of performance – both professionally and financially. We are providing a light breakfast and lots of coffee! One of the key components in brand building is that you have true differentiators. Your brand is not simply a collection of professional photographs, a logo, a font style, color scheme, and a catchy slogan. Your brand is based on a foundation that is solid when it is rooted in your unique approach to the problem that you solve or the bigger purpose that you serve. At Boss Women Rock, we call this your Claim to Fame. Different types of Claim to Fame’s that you could have are an award that you’ve won, a certification that you’ve earned, a major feat that you’ve accomplished, or perhaps it is as simple as documenting and marketing not what you do but how you do it. 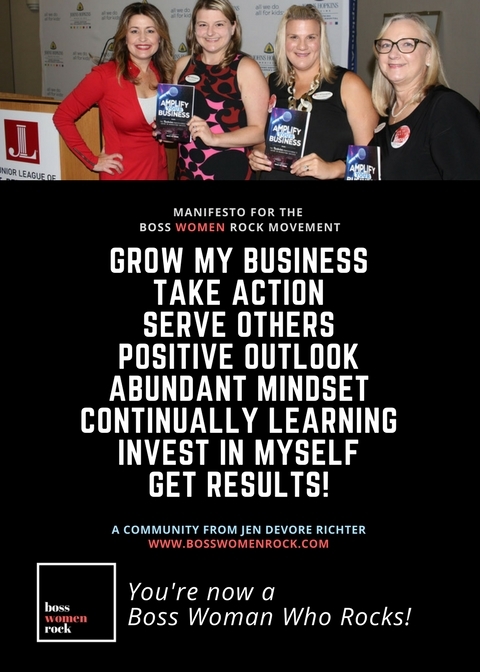 For example at Boss Women Rock the transformation that we provide or the end goal we have is to take a professional and transform them into a Rockstar Professional. This means that you go from being ordinary to becoming the go-to expert in your industry. So that’s the end result. The process that we use is broken down into five key components or stages. The first stage is that you set the stage for the business of being a brand. We call this laying a solid foundation. This includes defining a bold vision for who it is that you were trying to become as well as your motivation and inspired mission. What is the difference that you’re trying to make in the lives of others? You will begin to build your brand business plan based on that solid foundation. The second stage is that you produce your actual brand. Here we begin to understand your core gifts and talents, craft your story, identify your unique difference or claim to fame, and begin to work on refining your message and look. The third stage is that we design your MAP or marketing action plan. Here we begin to look at the strategic elements of marketing as well as the tactical tools that you need including sales funnels. The fourth stage is that you begin to put your business on autopilot. To become a Rockstar Professional you need to focus on being the lead creator and visionary of your company and not the manager or doer of all of the activities. So we will work with you to determine what systems needed to be defined and what team members you may need to hire or outsource so you can delegate the work. Here is where you can really work to scale your business to run without you in it and reach maximum potential for profitability. We begin to introduce you into the marketplace and communicate on a national or international level by transforming your products and services into a message that reaches a wide audience. Some ideas that you could consider are writing a book, becoming a public speaker, becoming a media expert, hosting your own events, or generating new opportunities through partnership and joint venture opportunities. If your goal is to become known as the go to expert in your industry you need to have a system in place that you can follow to ensure results. 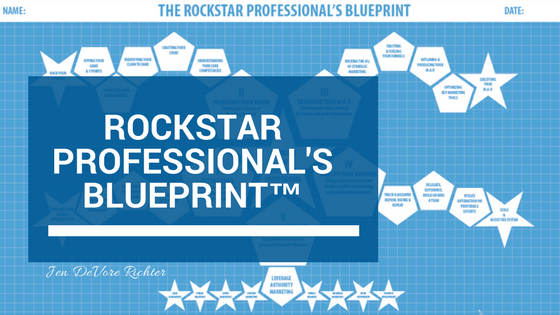 The Rockstar Professionals Blueprint™ is a proven process and a documented system developed by Boss Women Rock that you can use to elevate your influence as a thought leader. Are you trying to build an audience for your brand and spread your message so that you can fulfill your purpose? As business owners we find ourselves pulled in many different directions and it’s easy to lose track of the things that don’t produce immediate return on investment. When I first started my podcast, I had the goal of releasing an episode a week. I had all the best intentions and quickly realized that without a dedicated time on my calendar to release the podcast episodes my goal of releasing one a week was not being met. Recently I was doing an interview with another business owner and she mentioned to me how much the podcast episodes have helped her and that they literally have changed her life in some ways. It was then that I realized the importance of keeping my message out in front of my audience and realized a more urgent need to get back on track and improve my consistency. So I’m telling you these lessons because not because I’m doing everything right but because they are lessons I’m learning along with you. There are basically two things that you need to improve consistency in your marketing. The first is dedicated time set aside to write and produce your content. So you should block off on your calendar for weeks in advance they set dedicated time and consider it an appointment with yourself and with your audience members that you must keep no matter what. The other aspect of improving consistency in your marketing is to use a content calendar. A content calendar can help you pre-plan your content so that when it comes down to actually producing content you don’t have to think about what it is you’re going to say or write. It’s already been determined taking the guesswork out of it. If everything is systemized you can outsource the production and ensure a quicker turnaround time. On a deeper level I think consistency in marketing is key because you have a message that you’re meant to share with the world and if you’re not consistent with spreading that message your audience will lose track of you. You will not be able to make the difference that you are intending to make. 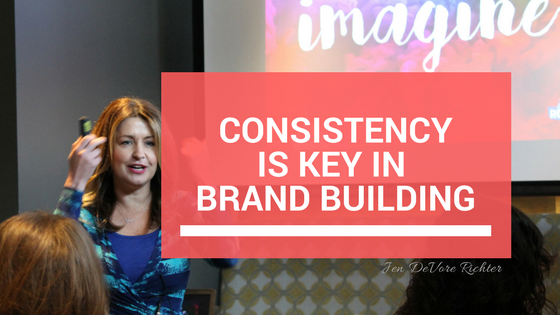 If you’re trying to build a brand then you are going to need to pay more attention to being consistent with your message. The mindset shift that this is going to require you to take is to move from a harvesting mindset to a planting seeds mindset. Making time to regularly share your message and connect with your audience may not have an immediate return on your investment of time but eventually it will pay off. Your message will be heard and your audience lives will be changed. An action item that I would encourage you to take right now is to simply plan out your blog, social media, or podcast content for the next 12 weeks. Let’s start with small actions, because they can make a big impact. Also I do have a free online training that I would like to give to you as a gift. 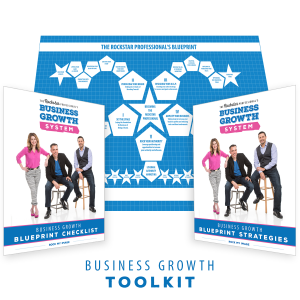 Visit www.JustMetJen.com to download a free copy of the Rockstar Professionals Toolkit which has a blueprint to my branding process as well as a free guide and checklist. We will cover an important concept that allows you to make better business decisions so you can be a good steward of your finances and achieve your dreams through effective marketing. 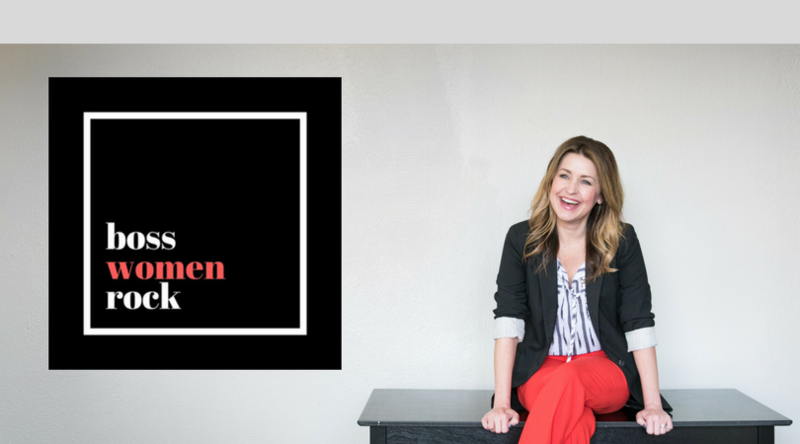 In the last post we covered the Three Pillars of Marketing concept developed over the last four years by my partners and I at Boss Women Rock. You can learn more about it in detail on the previous post, so go back and check it out if you’d like to know more. Working with business owners, we began to see a pattern emerging over time. That pattern was that most businesses were failing because the owner did not have a plan for marketing. They were winging it so to speak. The three pillars of marketing was our way of explaining a very simple process for ensuring marketing success. We were inspired to create The Three Pillars of Marketing approach because a lot of business owners would come to us and say that they needed one thing when in reality, upon close examination of the sales and buying process of their customer, client, or patient they really needed something else entirely. In order to know what you need to spread your message and accomplish your goals, you need to map out the experience that your audience has with you and every touch point along that journey. When they visit your website and social media channels, is the branding consistent? Is your branding of a high quality and professionally done? Also when they take the next step to making a buying decision, what is that process like for them? The goal is to meet them where they are. Bring your message to them. It’s important for you to know what social media platforms they use, what media they watch, and how they consume information. For instance, do they prefer watching video over reading? To get started on this process, you simply need to map out the exact experience from the customer standpoint and review your current tools based on their point of view. See which items need to be replaced, which items need to be upgraded, and which new tools you may need. Once you understand that then you can build the necessary tools. You will build platforms and systems that provide a great experience for them which in turn improves your return on investment. Next is the marketing. The main question to answer here is: How can you provide massive amounts of value by providing informative and entertaining content? There is a shift taking place in business today. People do not want to be sold to in the traditional ways of advertising. But they do want solutions to their problems. To provide value and attract your ideal clients in the new economy, think creatively about how you can engage your audience. Perhaps a podcast would use your talents, or write a book, start a blog, create a video series or host an event. Get your message out. Build community. Start a movement. Make a difference. Let me share a short story with you that demonstrates the power of providing valuable content. I’ve been doing a lot of speaking this year. I am speaking at live events, on webinars, and even here on the podcast. By shifting my focus into sharing insights and providing value, my message has begun to attract a group of like-minded professionals who are making an impact in their industries and on the world too. We’ve created a community both online and in-person lifting each other up and working toward our goals. This community is instrumental in my personal and business growth. By taking the time to really think about how I could best serve as a communicator of ideas and facilitator of community, I’ve received new opportunities and blessings in my business and life. Now, there is a mindset shift that needs to happen in order for this to work and it’s basically the principle of giving in order to gain. Give value to them in the way in which they want to receive it. The fact that eight out of 10 businesses fail within the first 18 months is unacceptable to me. So I am on a mission to change that statistic and help you avoid falling into the trap of small business failure. 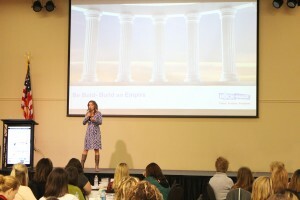 The Three Pillars of Marketing is a concept developed by my partners and I at Boss Women Rock over the last four years. Based on our combined 50 years of experience as marketing professionals, the last 12 years as entrepreneurs, and last 6 years as marketing consultants specifically working with small to medium-sized businesses, we began to see a pattern emerging. The pattern was that most businesses were failing because the owner did not have a plan for marketing. They were winging it so to speak. The Three Pillars of Marketing was our way of explaining a very simple process for ensuring marketing success. 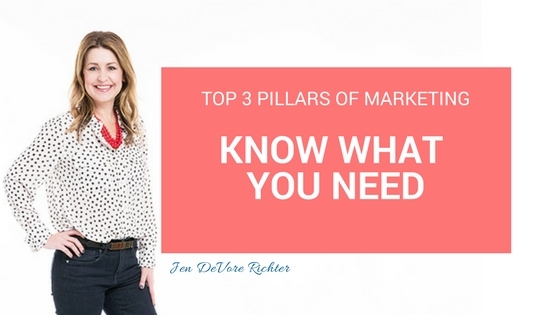 What are the Three Pillars of Marketing? We were inspired to create the Three Pillars of Marketing because a lot of business owners would come to us and say that they needed a website. In fact I had one client who had a $20,000 budget for a website but what they lacked before that was a solid brand. The first pillar is branding. Your brand is the essence of your company, it’s the promise you make to your audience. If you don’t have that worked out, your website design will miss the mark. The second pillar is tools. Once you have your brand established, are recognizable, consistent, and differentiated in your Market or industry, then it is safe to move forward with building out all of the various tools that you will need to attract the ideal customer. Your tools include your website, social media channels, sales funnels, books, advertising, public relations efforts, sales efforts, and every other way that you are investing in your business to purchase a new customer. 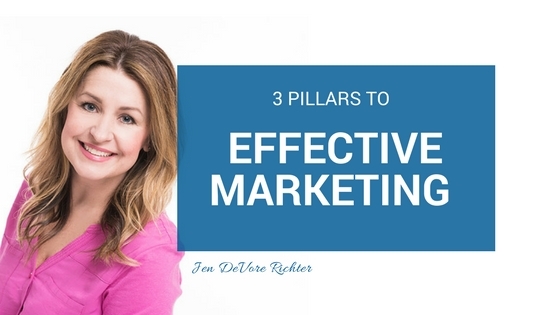 The third pillar in the Three Pillars of Marketing is marketing. After you have your brand established and all of the tools that you need for success, you can begin investing in marketing, in purchasing a new customer. And yes, you do need to invest in buying a customer. To begin, think about what your acquisitions may be, and what your acquisition costs per customer are. Do this by examining or knowing what the lifetime value of a new client is to you. You should have that number worked out so that you know how to determine your marketing budget. If it the value of a new customer to you is, for example $4,000 then you know that in order to get a good return on investment out of your marketing, you can invest quite a bit of money in attracting that new client. Usually in business the companies that are spending the most to acquire new customers are the ones that are successful. The Three Pillars Approach to marketing will be a very helpful tool but will require a shift in your mindset when it comes to marketing. Instead of feeling the urge to jump ahead and skip stage one branding, and to start building tools or spending money on marketing, you must do the preceding step. Doing this will require some patience on your part but if you follow the formula: branding first, tools second, and marketing last, your efforts will be much more effective and you will be able to spread your message, create your movement, and serve your true purpose. Simply take an 8.5 by 11 piece of paper. Divide it into three columns. Write branding at the top of the left-hand side column. Write tools at the top of the middle column. Write marketing at the top of the right-hand column. Then in the left column you’re going to quickly write down all of the different elements that are in your brand. Lastly on the right hand side of the third column please write down all of the different ways in which you are communicating your message with your audience. For now the goal is to begin retraining your brain using The Three Pillars of Marketing Approach. We will have more to come in the short future! 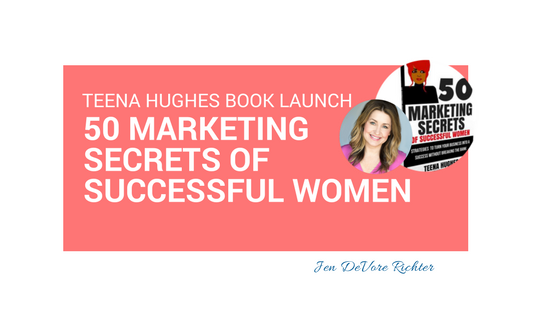 I am very pleased to be a part of the launch of Teen Hughes’ book 50 Marketing Secrets of Successful Women. 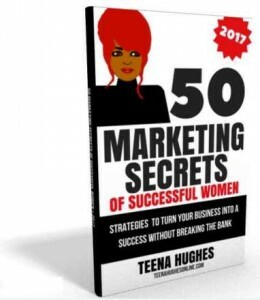 Teena asked me to write a chapter for this book that is a compilation of some of the best ideas in marketing. My section on how to grow your audience with podcasting can be seen on pages 28-29. Women all over the world are starting their own businesses, which is a truly remarkable thing! Their passion for their product or service is there in abundance, but sometimes it’s harder to get the message out than they originally thought, and “marketing” sounds too hard to achieve. In Australia, when we can’t do something right now, we say we’re putting it in “the Too Hard Basket”, and I think this is where a lot of people put their marketing. In this book I have gathered 50 tips from amazing women around the planet who are happy to share their successful techniques. 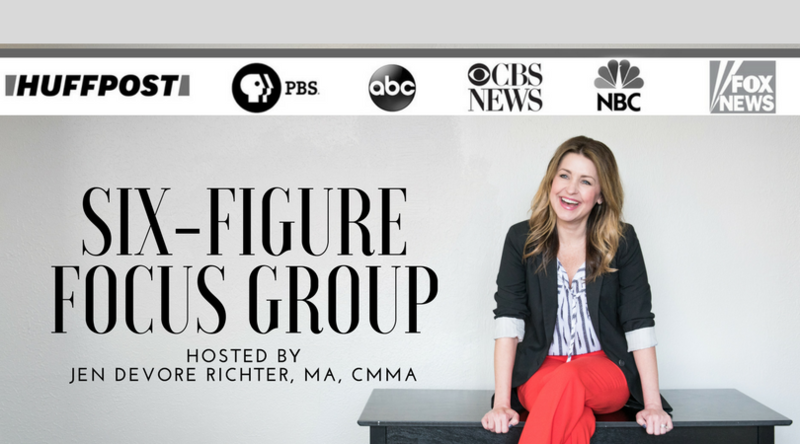 I am thrilled to be able to bring these two groups of women together – those having success with marketing, and those needing support with their marketing. It’s a match made in heaven! Let’s ALL learn new and simple ways to boost our businesses! 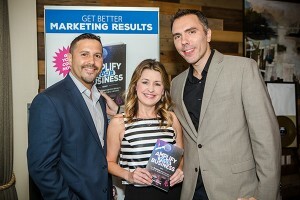 To get your copy of 50 Marketing Secrets, please visit http://42jump.com/buy50secrets.